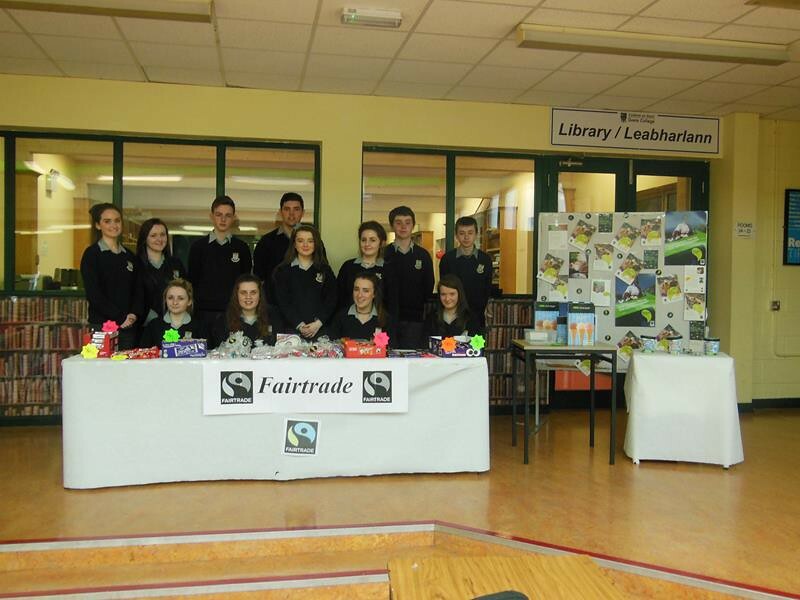 A group of students from TY1 who set up a Fair-trade Stall to create awareness and promote Fair-trade within the school. 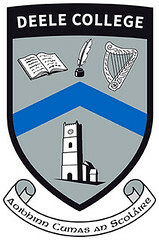 The school hosted a very well attended ecumenical service on Tuesday evening for parents and students who are undertaking the Leaving Cert. Conducted by Father McGettigan and Reverend Wilson, the service was a send off for students who will be shortly leaving the school. There were songs, prayers and speeches, all performed by sixth year students, who had a very enjoyable night together as a school community. This was an emotional evening for the students, who are now ending a journey that has taken six years. 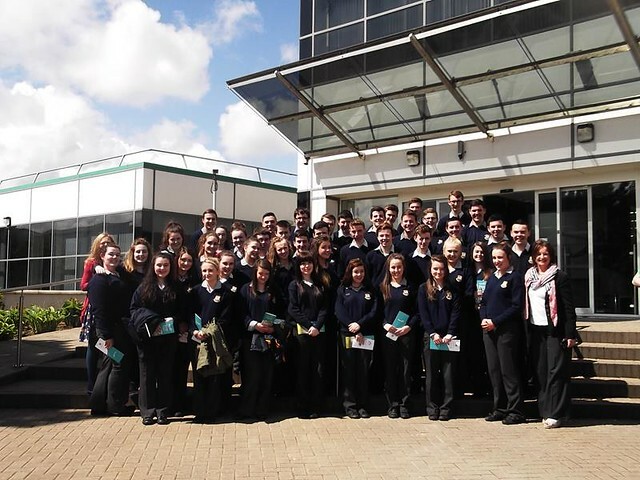 We would like to wish them all the very best in their exams and their future careers. Our Transition Year students held a very successful sports-hall athletics competition on Monday for primary school pupils in the area. 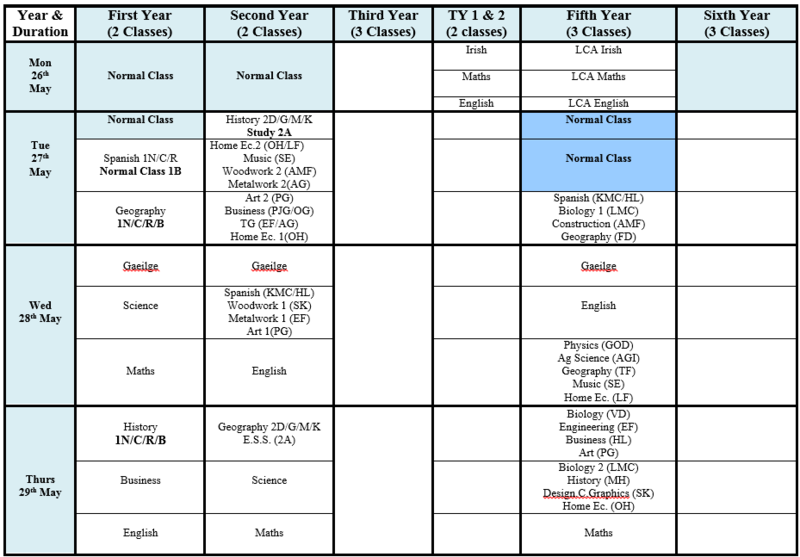 This was a very well organised event and great credit must go to the Transition Year students for their dedication to the task. 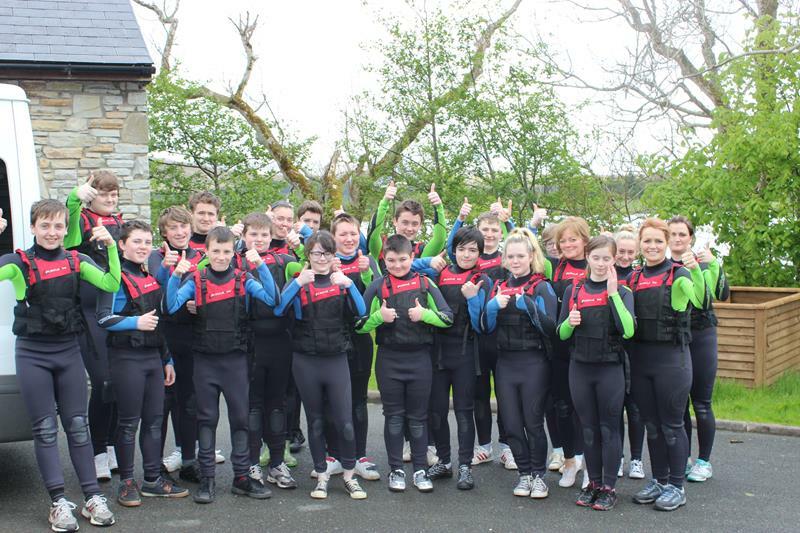 The ‘Lunchtime Club’ went on an exciting day out on Monday to the Gartan Outdoor Education Centre, where they got to go canoeing. The students who have been attending the club all had a great day. 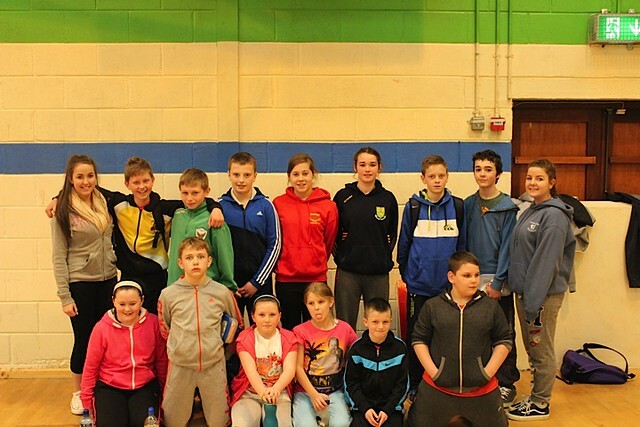 Photos of Scoil Bhride Sports hall Athletics which took place in the sports hall at Deele College on Monday 12th May. 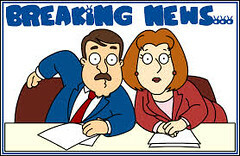 It was part of Active Schools week which Scoil Bhride are taking part in all this week. 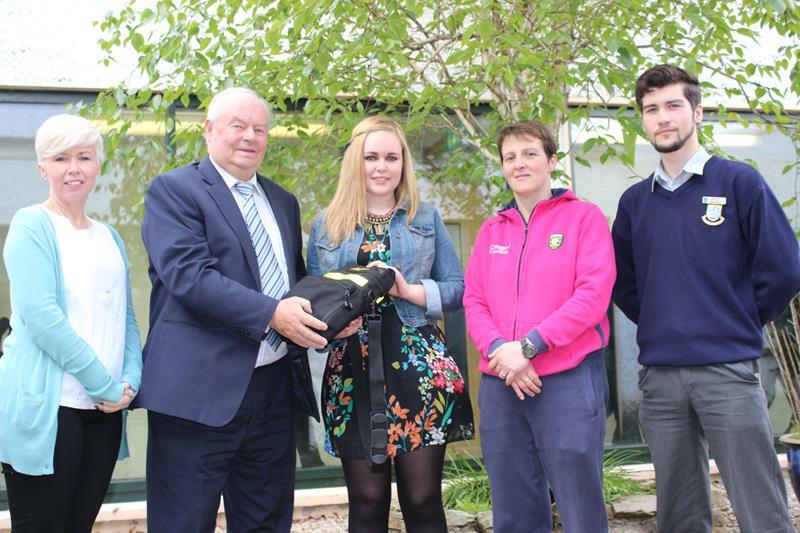 Pictured are Lorraine Mc Glinchey and Niamh Crawford presenting a defibrillator to the Principal of Deele College Mr. Mc Gowan. This defibrillator is for the school’s sports hall where it can be used in emergencies for those using the facilities. The school would like to acknowledge this contribution and it is greatly appreciated. 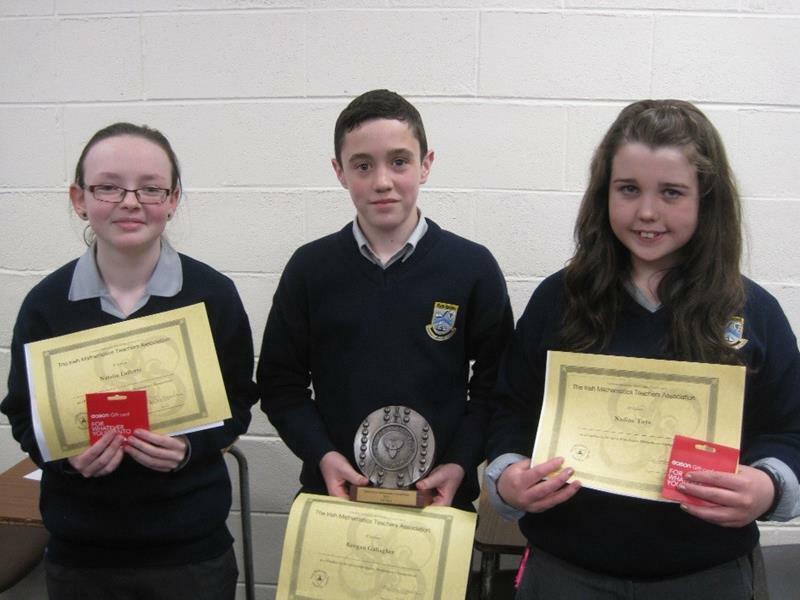 Congratulations to Natalie Lafferty, Nadine Toye and Keegan Gallagher, Deele College who were invited to participate in the Irish Junior Maths Competition; Donegal Regional Final which was held on Friday 9th May in St. Columba’s College, Stranorlar. 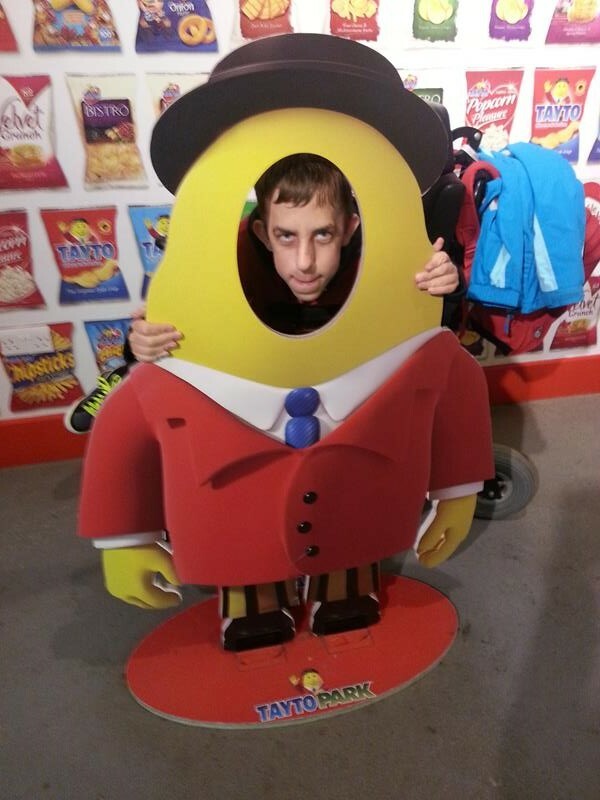 The first year students from Deele College visited Tayto park as part of their business studies course, they got to see how an Irish business has diversified, while continuing the promotion of their initial product. An enjoyable day was had by all.